The daughter of founder David Charlton, Laura Charlton is not only blessed with the same hairdressing skills that her father has – she is also not afraid to step out and forge her own path. A hairdressing powerhouse who trained in multiple fields of beauty, she grew up in England and started her career when she was only 16 years old. She was trained at the England South Tyne Side College and successfully completed her City&Guilds National Vocational Qualifications – Level 2 and 3 in Hairdressing, and Level 2 in Beauty Therapy, Advanced Nail Techniques, and Media Makeup. She started working at salons in England quickly after getting her Diploma in Hairdressing. Not one to rest on her laurels, she also trained with the prestigious Vidal Sassoon Academy in London for Advanced Cut and Color as well as Creative Cut and Color in 2007. In the same year, she came to the Philippines to be part of David’s Salon. Her first assignment was in David’s Salon Xiamen, China, where she stayed for 2 years. After that, she was posted in Manila, and served clients in The Podium, Pacific Star, and Mall of Asia branches. She now heads the Beauty Department of David’s Salon, which specializes in nails, hair removal, lash extension, and spa services. She is also an in-demand brand ambassador, and has worked with not only some of the top international hairdressing brands but also international stylists. She has conducted extensive trainings and seminars nationwide to stylists and beauty professionals alike. 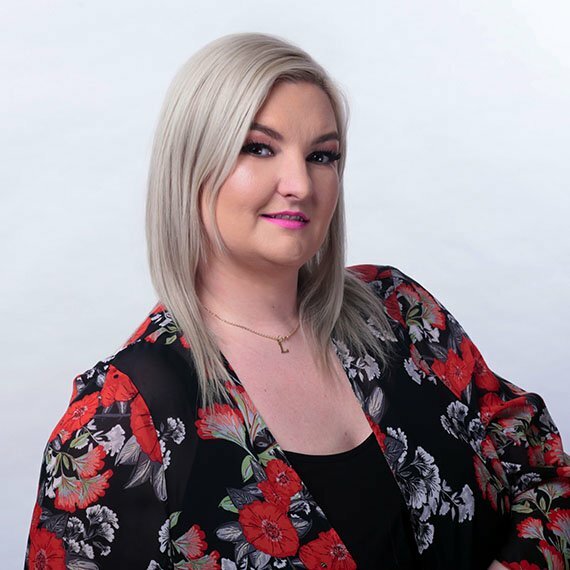 Always innovating and pushing for new services and strategies that would serve the needs of clients, Laura is a dynamic game-changer that keeps David’s Salon current, cool, and ahead of the curve.